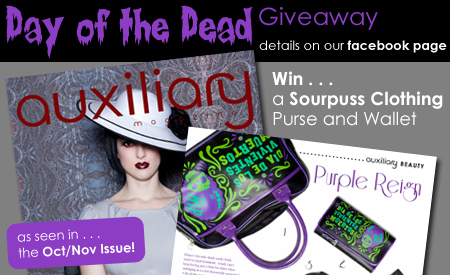 We are giving away a Sourpuss Vivientes Bowler Purse and matching Vivientes Muertos Wallet as seen in the October/November 2010 Issue! TO ENTER : Like the Auxiliary Magazine facebook page, leave a comment on the GIVEAWAY tab, and suggest the Auxiliary Magazine facebook page to your friends OR sign up for our mailing list HERE. 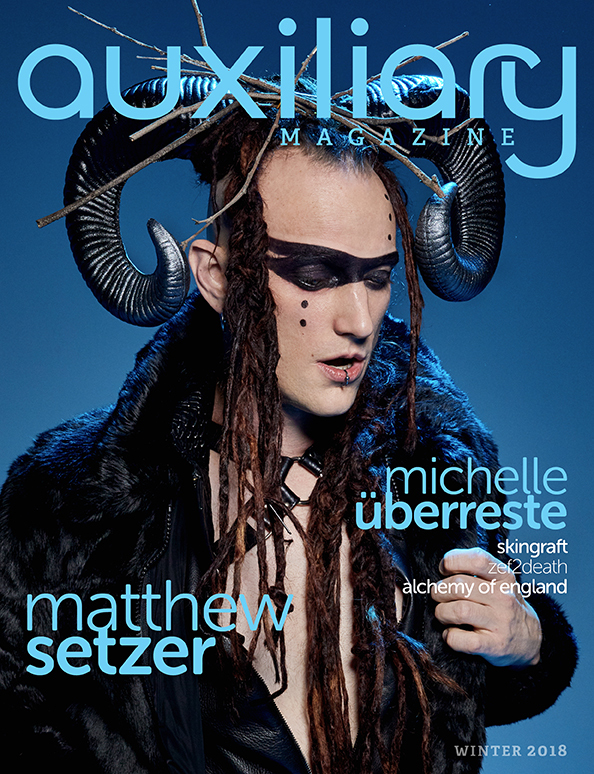 If you are already our fan on facebook and signed up for our mailing list than you can still enter by leaving a comment on the GIVEAWAY tab on the Auxiliary Magazine facebook page. 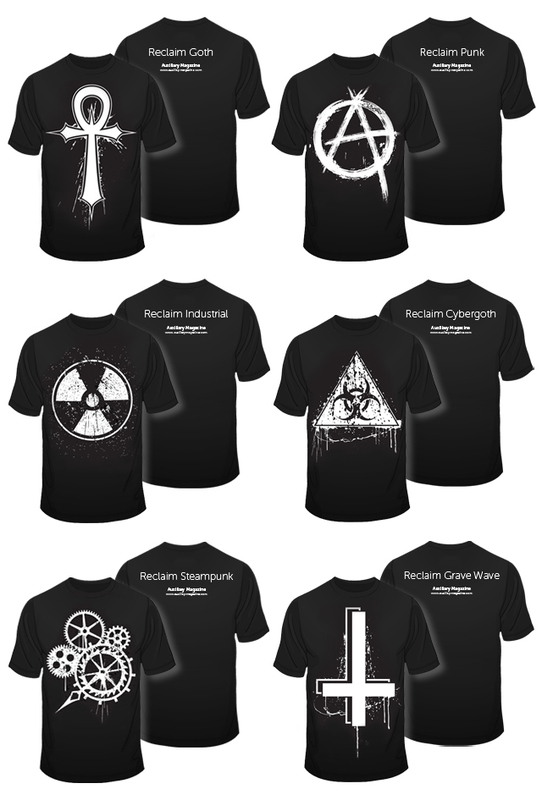 The winner will be chosen at random from the comments on the GIVEAWAY contest tab on our facebook page and from sign ups for our mailing list from November 2nd, 2010 (The Day of the Dead) until November 16th, 2010. The winner will be announced on the GIVEAWAY contest tab on our facebook page on November 16th, 2010. Giveaway is for one Sourpuss Vivientes Bowler Purse and one Sourpuss Vivientes Muertos Wallet. Winner must still “like” Auxiliary Magazine on facebook at time of drawing or must still be on Auxiliary Magazine’s mailing list. Purse and Wallet will be delivered by mail with postage covered by Auxiliary Magazine 1-2 weeks after drawing. I want that purse !!!!! !It has shaney written all over it. I bet no one at work would mistake who owns it and I’d tell them all how I got it! Right On! These would be hot with my lime green eel skin heels! Yawl did it again… Sourpuss Rocks!!! Now give me! I’m not on facebook but i signed up for your email newsletter. i want it now!! love love it! !